When beginning a new website or business it can feel like you are standing in an open canyon sometimes. You are open for business but there is no traffic to your door and it feels like no one even knows you are there. How are you going to start making a profit if you don’t have any one to put your products in front of? List Building and email marketing is a very important part of building a customer base. These are the people that sign up willingly to hear from you. One of the main things a person should consider when expanding their subscriber base is to think about the brand they want to be. People will be more likely to get on and more importantly STAY on your list if you are a familiar brand. People are also more likely to join a list when they know what value they will be getting. Even the family run business can benefit from having an active customer email list. Continuously adding people to that list will increase the number of leads that can turn into paying customers. By adding more pages to your website with articles of interest, you will effectively be providing information that your prospective customer will find when they go searching. Writing interesting stories about your product or service on a frequent and steady basis, will help your website rank higher in the SE’s. This is why you need to know your community and niche before you even start pulling them into your circle. When writing content on your blog consider who you are doing it for. 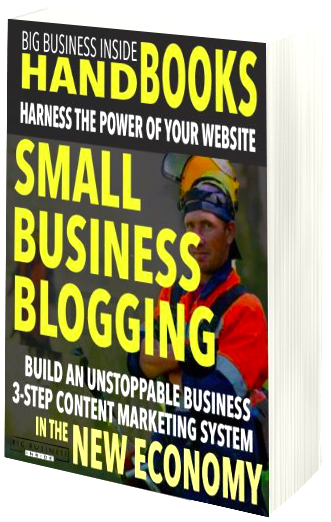 If you are doing it for fresh content to build free SE traffic then write as frequently as you possibly can. One thing you cannot have too much of is relevant content. That doesn’t mean you need to broadcast it to your list or social network every time but it’s not a bad idea to do this too. Content is for the SE’s, relevance is for your target market. While building pages on your site make sure the articles are of interest and have something to do with your business. For example you can write about the 10 steps needed to put your above ground pool to bed for the winter. On that page is where you can sell the products needed for this job or give them a coupon if they sign up for the “manual”. How Long Should an Article Be? People often wonder how long a post (article) should be. There are folks who have said 500 words, other are writing long novels of 5000 words. Don’t worry about it. Your post should be as long as it needs to be. That’s it. Wrote for your customer and not for the search engines. The SE’s are continuously changing their minds and as a result people always try and game them. Think of your customer first. If at a later date you have something to add to a previously written post it is a good idea to modify that post and maybe write a new one with the added information. The addendum can be just a couple of hundred words and it will be just fine. It is through your writing and other social media that people are going to get to know you. Hopefully when people get to know you they will like you, identify with you, and WANT to hear more from you. Be likeable and informative and then present them a reason to become a subscriber. Subscribers can be loosely considered anyone who has signed up for your RSS feed, your email list, your Facebook page, LinkedIn, Pinterest etc. Sending “blasts” to your subscribers on social media costs money. If you have to PAY for something then you should try and own it. You should try and bring the people following you on social media to your email list if you can. You have no control on the social networks and a follower may or may not even get your promotion in their feed. Better than adding someone to your email is to have ALL their contact information. Try to come up with ideas that will give you a customers email, name, address, and phone number. Email marketing has it’s drawbacks too but there are ways around these. There are 1000’s of ways to find people and try to convince them to “subscribe” to something or another. It’s best to spend your time focusing on one or a few at a time to split test and improve conversions. Why would someone want to be on your email list? There are only three main reasons. One – they love what you have to say and want to stay informed. Two – you offer them some type of bribe that makes it beneficial for them to sign up. Three – they are your competitor and they are spying on you. The “bribe” is a term used to describe the thing you are offering to a potential lead in exchange for their email address. It is a report, a coupon, a service, or something related to your business that will get your virtual foot in their door. It needs to be interesting enough and valuable enough for them to give you their email. There are several reasons why a free offer may not be enough to get the lead. It won’t convert if it has no value to the customer. Either you don’t seem like someone who is enough of an authority to make that offer or it doesn’t match up with what the prospect is looking for. If the second is the problem then it is good to have more than one offer. If you do this you want to ensure that you will be putting in the effort to segregate your lists too. Segregating lets you know what the person is interested in and keeps you from burning out your list because of bad offers. On this post I could have a simple optin form that said – Find out in detail how I build an email subscriber list of 10,000 in just two weeks . The offer matches the content so I know the people that sign up are already pre-qualified to be offered a special price on a paid List Building product. Try different places for optin forms. Top right, bottom right, bottom of post, and exit pop’s are all common places for placing a subscriber form. Have more than one on a page and a popup when they get there and another when they leave. Test it. The only way to know for sure what works with your particular audience is to test. There are alternatives to using an autoresponder signup forms such as using different images and ads to invite a click to a landing page. This helps test headlines and calls to action. The fastest way to build a subscription base is to pay for it. This can be done by advertising your various social network pages in hopes of getting people to take an offer or subscribe. You can also drive PPC traffic from the SE’s as well as their network of partners like sites using adsense. Some blogs will allow you to advertise on them too. They will have a link that says “advertise” with the costs. To choose a site do a quick search for the type of traffic you want by using the keywords. Then see who comes up on the first few pages and check their sites to see if they are advertising. One of the more commonly used methods because of its flexibility is using Solo ads. This can be easy and cheap – but there are a lot of scammers out there too. If you are going to try this do it smartly. 2. Get to know your community well. 4. Keep EVERYTHING you do relevant to your subscribers interests. 5. Be endearing and social with the subscribers in your social networks. 6. Focus on building your email subscribers. 8. Keep your subscribers around by segregating your list. 9. Have several places and ways for people to subscribe. 10. Pay for your subscribers. 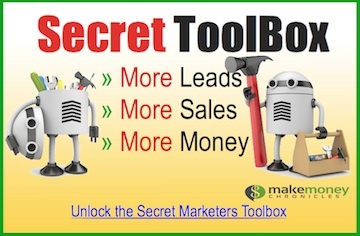 Small Business Marketing for 2019 that Turns Your Website into a Lead Generating Machine. » Email Marketing – Ultimate Cheat Sheet! »Who Does SEO like a Genius? Ron on What is Inbound and Outbound Marketing?